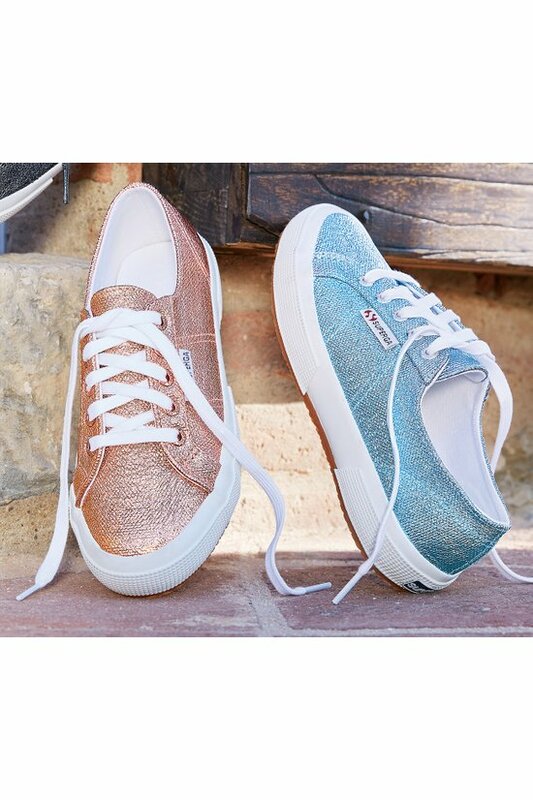 Superga sneakers make a statement in shimmery metallic fabric. Cool cotton lining and traction rubber sole. 1" sole.